At first glance, the phrase "employee turnover" has a negative connotation -- a stigma associated with an employer's obligation to reduce turnover at all costs. However, there are different types of turnover, and not all of it is negative. Turnover occurs for a variety of reasons, ranging from termination for poor performance to the departure of highly skilled employees who resign after they help startup businesses achieve sustainable operating levels. 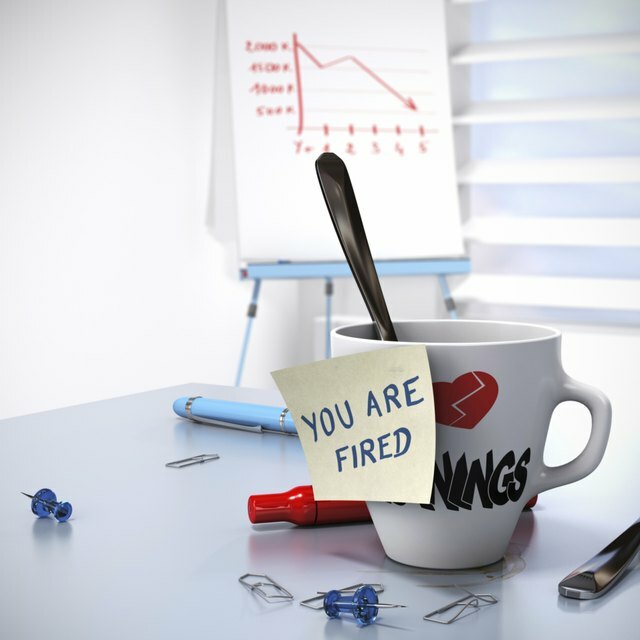 Involuntary turnover occurs when employers terminate an employee or ask an employee to resign. The latter may be considered voluntary turnover; however, the initial decision is to effect an involuntary turnover. When employees are terminated in cases such as violating workplace policies, poor performance or business slowdown, the departure is considered involuntarily. Some instances of involuntary turnover may cause trepidation among remaining employees, who might be concerned about their own job security. Other employee terminations may come as a relief to remaining employees, whose morale and productivity suffer when poor performers affect the workplace climate. Voluntary turnover occurs when employees leave of their own volition. Employees who resign, retire or simply leave the organization for other reasons are counted in turnover analyses as voluntary turnover. Attrition is often part of the turnover analysis. Human resources experts define attrition as a decrease in the workforce via voluntary departures. The difference between attrition and voluntary turnover is that employers do not replace employees who leave by virtue of attrition. While some instances of voluntary turnover may occur because employees are dissatisfied, a number of employees resign for reasons unrelated to working conditions -- for example, employees who leave their jobs to travel with spouses or students who leave the seasonal workplace to return to school. Desirable -- or positive -- turnover occurs when the workforce experiences change due to new employees bringing fresh ideas and perspectives to the company replace workers who are terminated for poor performance. Infusing new talent in an organization can re-energize the workplace, catapult productivity and boost profitability. Replacing a stagnant workforce can be costly; however, employers ultimately realize the the return on investment in recruitment and selection processes for new and fully engaged employees. Negative turnover is often referred to as undesirable turnover. It's easy to understand why turnover is considered negative or undesirable when employees leave under a cloud of circumstances such as suggested wrongful termination, mass exodus of disgruntled workers or workplace conflict. Mass layoffs, business closure and plant shutdowns also can be classified as negative or undesirable turnover -- layoffs have a devastating impact on workers and the surrounding community. For example, when employees suffer job loss from a plant shutdown, surrounding companies that provide services such as meals also suffer from lost revenue.